I’ve lived in Portland for almost 5 1/2 years. I moved here in April of 2007 from Denver, CO where I had lived since July of 2003. I moved for my dream job and my dream city both of which were happening at the same time. I was excited, happy, bursting with energy and ready to embrace both city living and my wonderful new job. 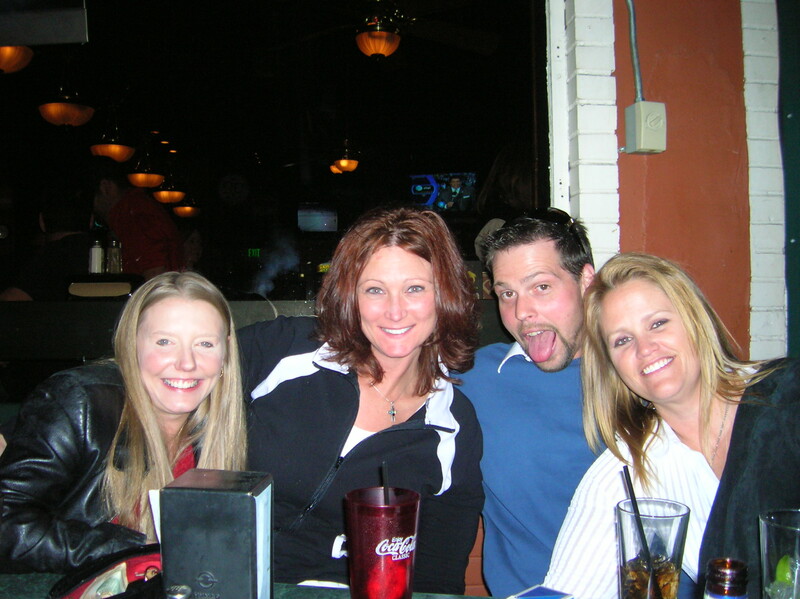 One of the pictures from my going away party from Denver, CO back in 2007. That’s almost 6 years ago! But now, my rose-colored glasses have fogged a bit and I think it’s time for a change. I lived in Des Moines, IA for about 5 years before Denver and I’m thinking it’s time to get back to the Mid-West. I miss my family and I miss seeing my nieces and nephew growing up. 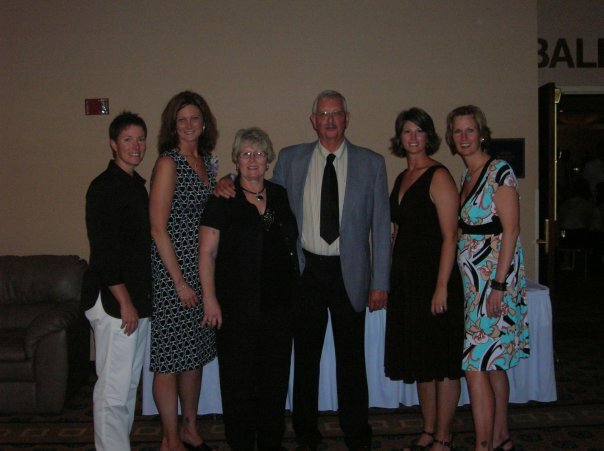 And I really miss my sisters and my parents (and Grandma!) So what’s a tall-girl to do? I think it’s time to get closer to home. Once I had made the decision I had to figure out where in the mid-west I should end up. I picked 4 cities: Des Moines, IA; Minneapolis/St. Paul, MN; Madison, WI; and Chicago, IL. I figured any job within this 4-point radius would be feasible provided it fit within my salary range. AND, more importantly, it had to fit within my ‘happiness’ range. This means that my next job must make me happy. I want to lead a team and help people. I used to do this and it made me extremely happy. It’s SO important to me that I be happy doing what I love. SO….what does this all mean…. I recently found the job that looks like it could be that perfect fit. And it happened to be in Madison, WI. Everything happened so quickly it was a blur. And now, as of yesterday, I’m in Madison, WI. I’m beyond thrilled. I have that feeling again…the one that makes me want to embrace the city and the job. I’m ecstatic and in my gut (which is the most important tell-tale sign), my gut says this is the right move. There’s a tall club here and one in Milwaukee that I’m planning on joining. I’m living downtown next to the capital so I’ll be within walking distance to all of the ‘weirdness’ that everyone here has assured me I will see. There’s a University here where I can see college football and tailgate (although I will never leave my IA Hawks). And best of all, I’m within 5 hours of my family. I can actually come home for Christmas this year and maybe Thanksgiving too! Bring on the homemade egg-nog! So, with a fresh new city and a fresh new outlook I’m ready to get out and make some memories to share with you. Now, if only my furniture would arrive…. 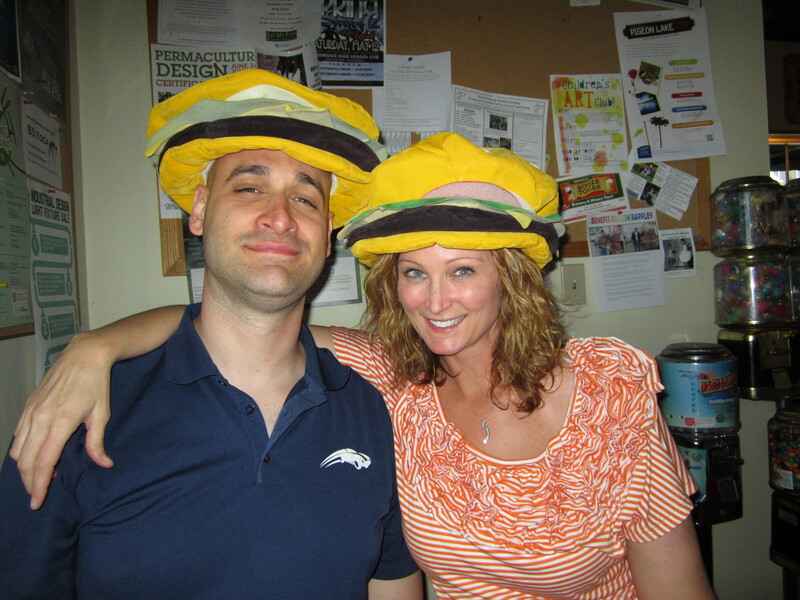 More to come….in Madison, WI! I’m really too tall for any tables. I started noticing this about 10-12 years ago when I had to have several surgeries. The nurses were really kind and sometimes the hospitals would have extensions for the beds and the operating tables but most of the time my feet would hang off the ends. And even now every time I go to the doctor those teeny little tables are made for toddlers. I simply don’t fit. I have this problem when I go for a massage too. I awkwardly position myself on the table and the masseuse has to maneuver around my legs because usually the rooms are fairly small and there’s not a lot of room to move around. I obviously don’t want to stop getting massages (or surgeries for that matter) but what do you do? You know, now that I think about it, sometimes when I get my hair done at my awesome hair salon (Blades) I sit so high up in the chair that Gaylynn, my stylist, doesn’t even have to raise the chair. I don’t necessarily think this is an inconvenience though, unless I’m sitting too tall. In my everyday life I’ve stopped thinking about these daily occurrences because they happen so often that I’ve gotten used to them. The tiny airline seats, being unable to fit in movie seats or sporting events bleachers, un-tucking the hotel sheets in hotels beds because my feet hang off, having to bend over sinks to wash dishes, ducking when I see hanging plants or dining room lights…the list goes on and on. I make up for these daily annoyances because so many good things happen to even it out. I’ve been asked if I’m a model more times than I can count (it’s the height), little old ladies always ask how tall I am and I’ve frequently been asked to assist with getting groceries off of a top shelf or putting luggage away in the luggage bin for someone much shorter than me. I think it’s wonderful! Oh, and I can gain 10 pounds and no one complains except for the poor buttons on my jeans. I really don’t mind being tall, even if there are a few inconveniences that go along with it. 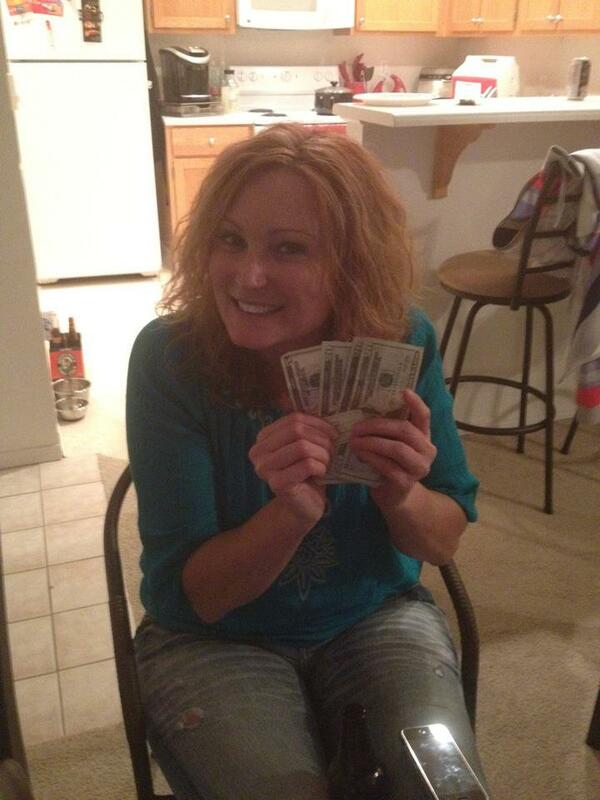 Things could be a lot worse….right??? 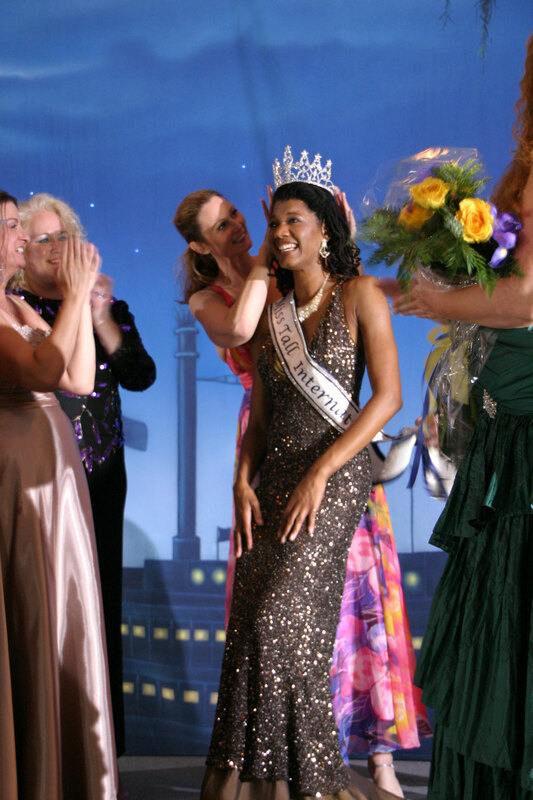 Me crowning Joy as Miss TI 2010. I nabbed it! That’s right, the exclusive interview with Tall Clubs International reigning queen, Miss Tall International® 2010, Joy Dawson. The wonderful part of conducting an interview with someone that you know (and like!) is that it’s fun and makes my writing pastime even more enjoyable for me. 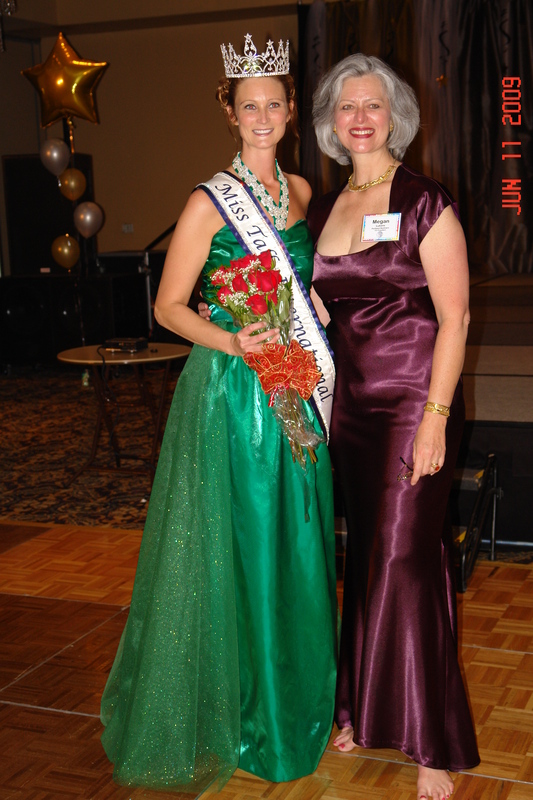 This interview is extremely special to me because I was the outgoing queen who crowned Joy as the incoming queen. Typically in a situation like this it can be a little bittersweet but from my perspective I was incredibly excited to pass the torch. 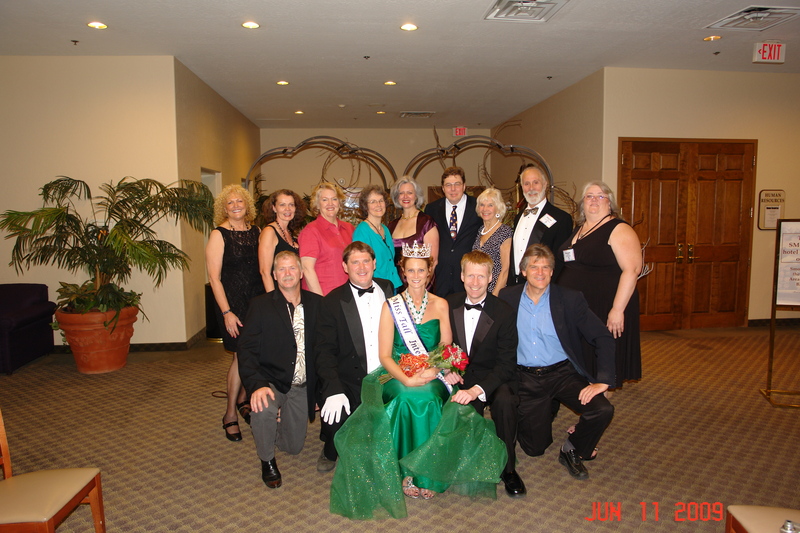 All of the candidates in the 2010 pageant were truly amazing women, but Joy stood out amongst the group. So today I get to tell you a little bit more about her, in her own words, and what makes her so special. I’m also going to give you some information regarding the next Tall Pageant so if you are interest in attending, you’ll know the 4-1-1 and who to contact. Without further ado, let’s talk about Joy! dramatic on a tall person. England to find something that fits! Shipping charges are a bear. it starts a conversation about Tall Clubs and what we are about. like a twelve-year-old the whole time. 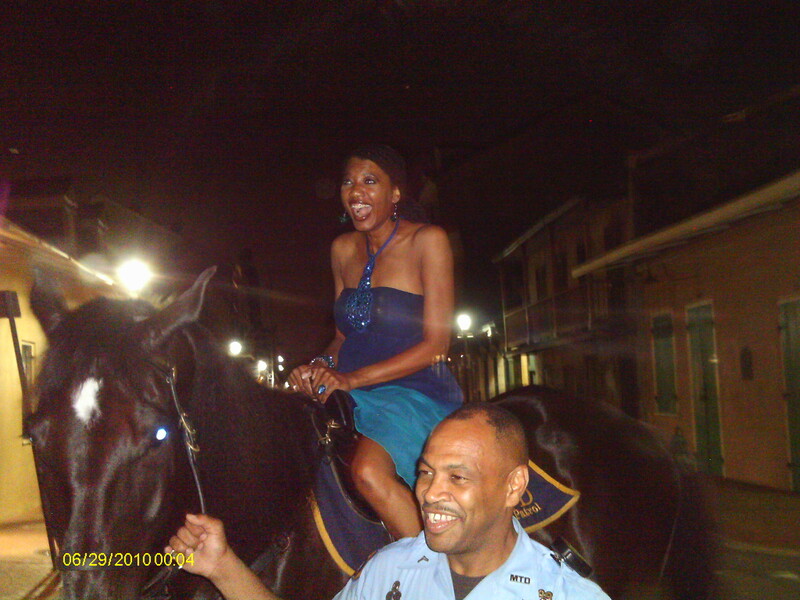 Joy atop a NOPD horse! smaller sizes are more readily available. I really appreciate that. Hillsborough, NJ. I drive up there every year for at least one sale. A HUGE Thank YOU to Joy for helping to make this interview happen. Being Miss Tall International has lots of responsibilities on top of your daily life so I appreciate the time Joy took out of her busy schedule to make this happen. The 2011 Tall Clubs International Convention will be held in Seattle, WA beginning June 27th through July 2nd. The Miss Tall International Pageant will be held on Wednesday, June 29th. Details can be found at the Miss TI Blogspot or Tall Clubs International (TCI) website.